Honoring the Dairy Family of the year. The annual 10K Road Race will begin at 8 a.m. 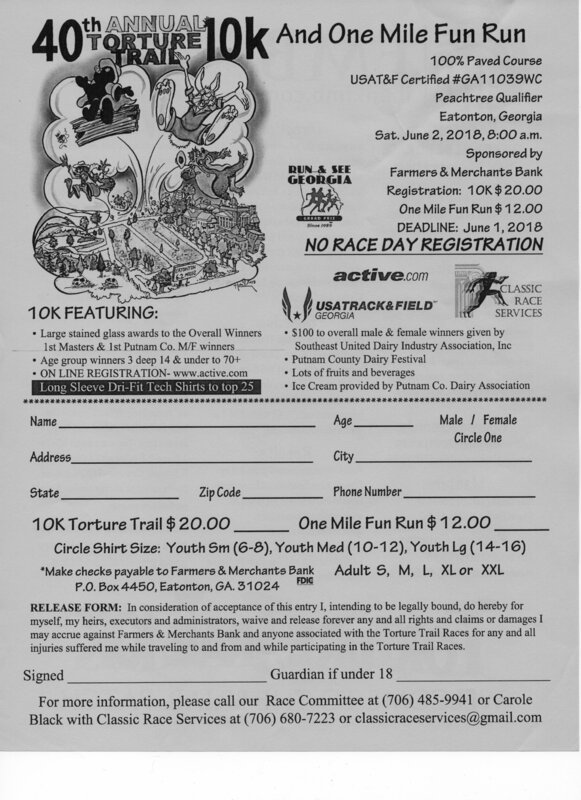 The course will be reopened to traffic starting 9:15 a.m.
Join runners from all over the state and see historic downtown Eatonton. Sponsored by Farmers & Merchants Bank. 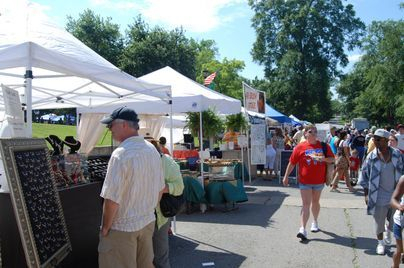 The vendor booths will open at 9 a.m. 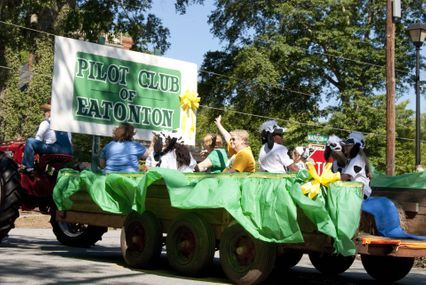 Wander the streets in downtown Eatonton and shop for locally, hand-made items along with many other varieties! There will be several food and beverage booths, as well. Do you want to be a vendor? Download the Vendor Application below. The annual parade will start promptly at 10 a.m. 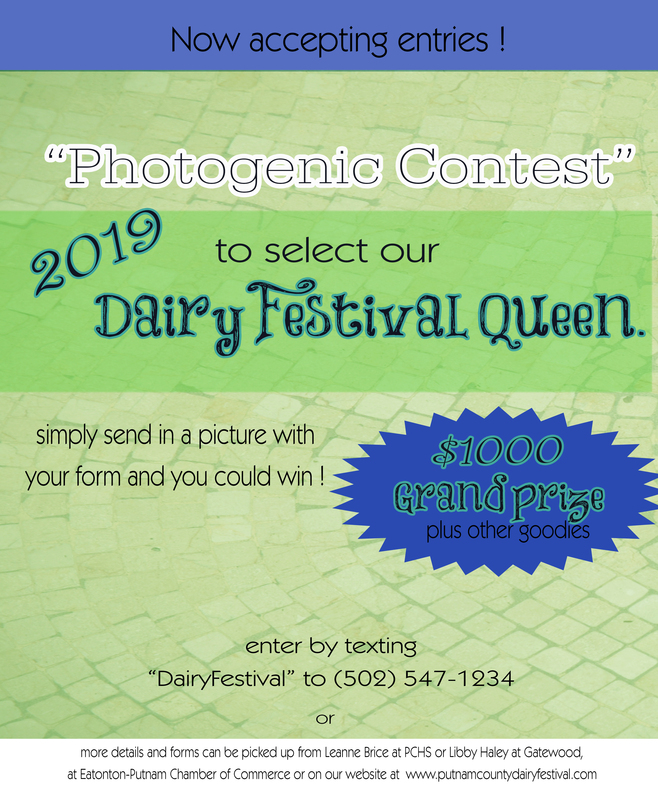 If you or your organization would like to decorate your own float and participate in this fun-filled event, download the application below. The Queen will be awarded $1000. Additionally, the Queen will receive a number of gifts from local businesses. 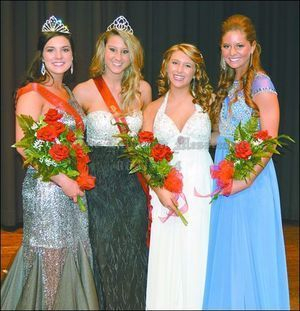 First, second and third place winners will also be selected to serve with the Queen as her court and will receive gifts.